Our Clock Wall Decals come with a real clock mechanism, they're not only decorative but functional as well! Choose the Cuckoo Clock for a playful look or the Pendulum Clock decal for a more traditional style. 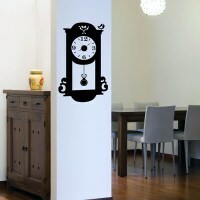 Our old style pendulum clock wall decal will add charm to any room in your house! 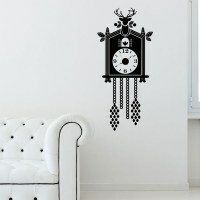 Our charming cuckoo clock wall decal is a great and humorous way of decorating your living room, hallway or office.